IFCA Slalom World & European Championships Report 2012. The 2012 IFCA Slalom World Championships for women and the European Championships for men 2012 are now concluded, it took place over the last several days in Roses, Catalyunya, Spain.. On the women’s side Karin Jaggi was able to defend her IFCA Wold Slalom Title. Matteo Iachino was also able to defend his lead on the last day and win IFCA Men European Slalom Championship. The ladies completed one more full eliminations series of 7 races. The final race was won by Turkey’s Cagla Kubat (TUR-75) from Alacati. Kubat winter training paid off showing improvement once again in speed and skill on the water. Overall Karin Jaggi (Sui-14) claimed victory and the IFCA Slalom World title in front of the very strong competitor Delphine Cousine (FRA-775) from France. Karin Jaggi, who also leads the 2012 PWA Slalom tour ranking, confirms she is once again a force to be reckoned with. The ladies fleet has now a long summer break due to the lack of international Slalom events. 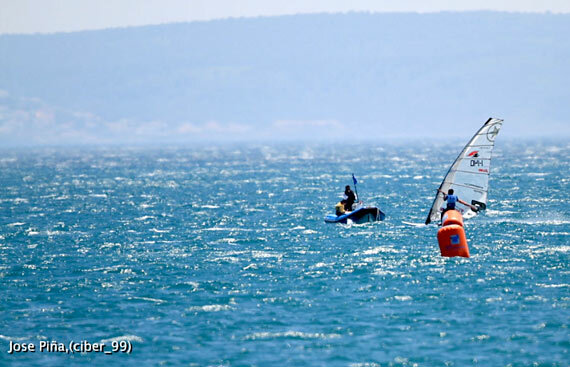 The third PWA Slalom for the ladies will take place in Alacati, Turkey in the end of August. Men competes in only four races. The fourth race got started in light wind conditions, but never came to end. Matteo Iachino and most of the big names qualified for the winner´s final, but it never came to fruition due to the light winds. This left Matteo Iachino (ITA-140) in the lead with fewest points followed closely by many strong competitors. The top 5 sailors were all within 3 points of Matteo. Arnon Dagan (ISR-1) from Israel in the second position, just 1 point behind Matteo winning the silver medal. This was the second time Arnon Dagan he won a silver, winning the silver medal in Sylt a week ago at the Formula Europeans. Bora Kozanoglu (TUR-11), who showed excellent speed , finished on the third place just a point ahead of Pierre Mortefon (FRA-14). The next event for the men is soon. 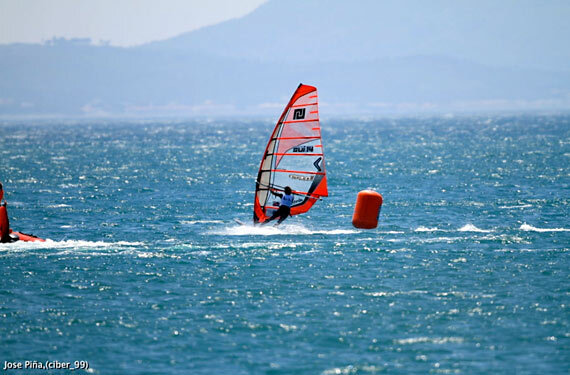 It will be the PWA Slalom at the Costa Brava, just a few kilometers further south from Roses. It starts on June 12th and runs to June 17th.